What if we could detect micro-bursts of weather activity in each neighborhood? Or spot rising water levels and provide an early warning to citizens? Or if highways could tell us when they’ve iced over? The practical uses of IoT are now a reality — and everywhere. Example: a building fire during wildfire season. Smarter roads would indicate the least damaged and congested rescue route to first responders. Embedding heat and smoke sensors in buildings would help firefighters track the progression of fires room by room and indicate the safest path to avoid air toxins. EMTs could transmit patients’ vital signs to hospitals automatically for the right equipment and personnel to be ready when they arrive. Sensors within a building can also identify specific sites of damage. Meaning they can provide first responders with details about the building’s safety, and a building-by-building account of where, for example, flooding was the most severe in a neighborhood. Sensing the behavior and size of a crowd in disaster areas — so-called human weather patterns — from all connected devices like phones, fitness wearables, smart watches can enable rescue teams to deploy the right amount of personnel. When paramedics, police officers, and firefighters are in an emergency, they can’t divert their attention away from their immediate environment. 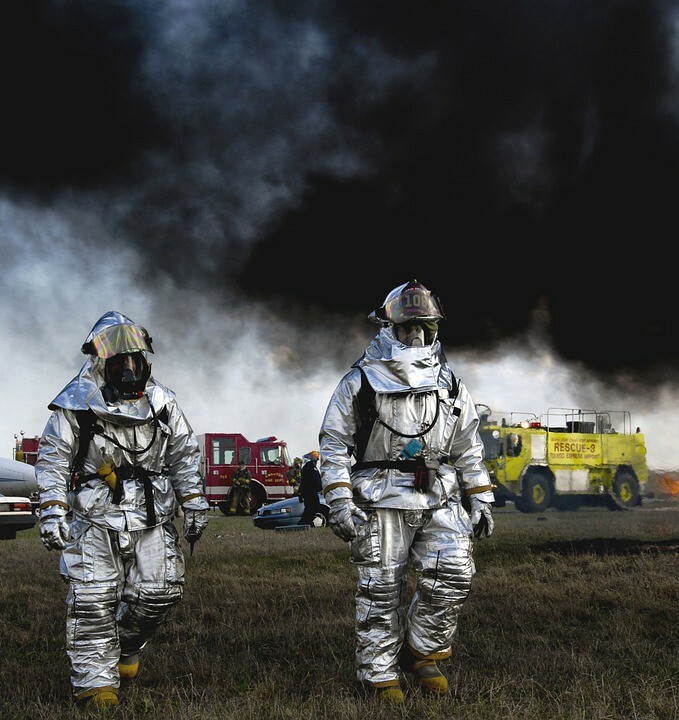 These new wearable technologies integrate into firefighters’ existing suits so that a range of sensors can deliver vital data during an unfolding event. Helmet video cameras with wireless feeds let incident commanders see what their firefighters are seeing and help chart the best response. GPS technology shows each firefighter’s location so that teams are strategically positioned to fight the fire. “What if they could have inexpensive, real-time 3-D monitoring of an interior space in the midst of a blaze? Or tools that could see beyond the infrared, to pick up a heartbeat or other sign of life from a kid who’s hidden in a closet or under the stairs?” said Robert Griffin, the Department of Homeland Security Deputy Undersecretary for Science and Technology. In the future, wearable technology built into firefighters’ gear will allow for real-time monitoring of oxygen levels, body heat, hydration, heart rate, and other vital signs — so central command can see who’s in trouble and prioritize actions. Learn more about IBM’s emergency management & public safety solutions.